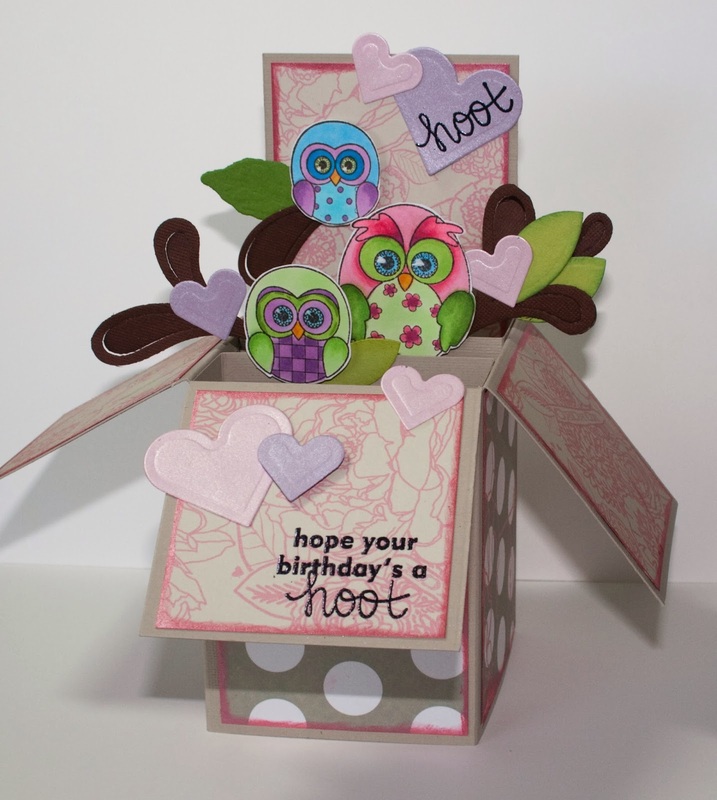 On Splitcoast Stampers last week they had a tutorial on these Pop Up Boxes. 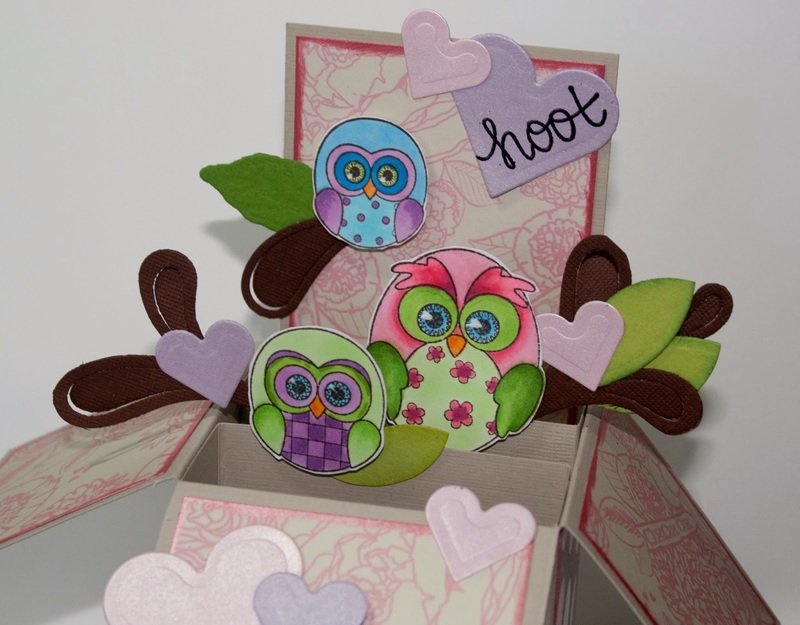 I love them and they are pretty easy to make. My daughters birthday is coming up this weekend so here it is. 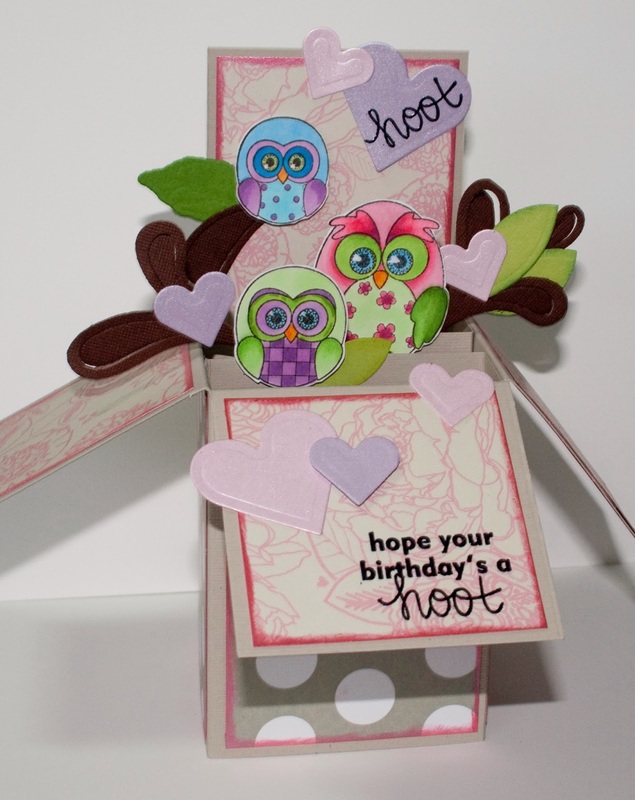 I used the Owlettes stamp set from Sparkle N Sprinkle. The images are colored with my Copics. 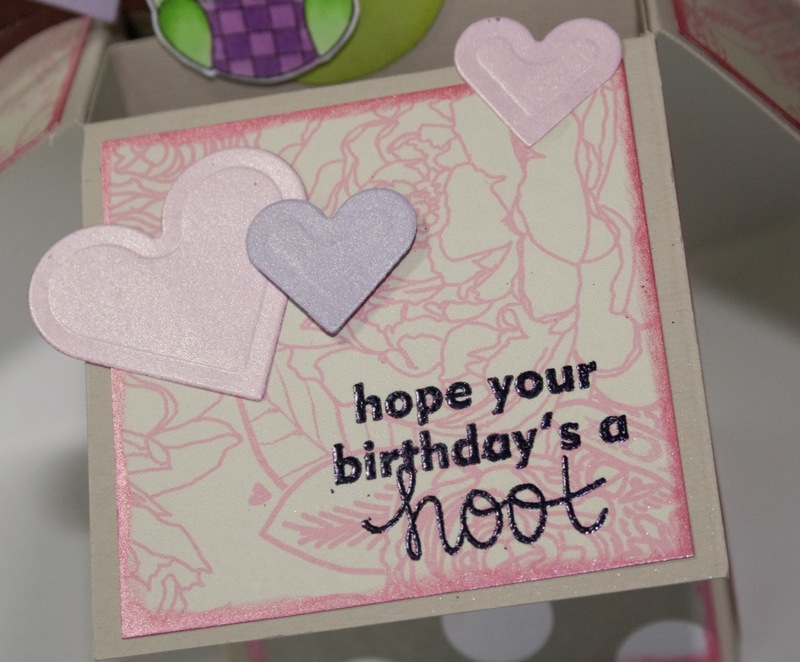 The sentiments are embossed with Plum Wine EP The hearts are Spellbinders Die and the branches are really water splashes from Quick Cutz (I didn't have a branch die!) but it works! The edges of the cardstock are distressed with Rose Inka Gold. Enjoy.....Stay warm inside and stamp! !